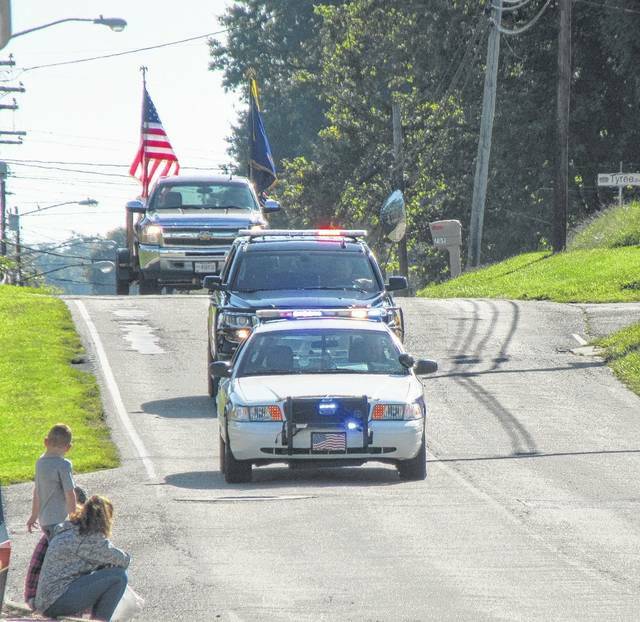 The Racine Police Department leads the Party in the Park parade down Elm Street on Saturday morning, followed by the Meigs County Sheriff’s Office and Racine American Legion. 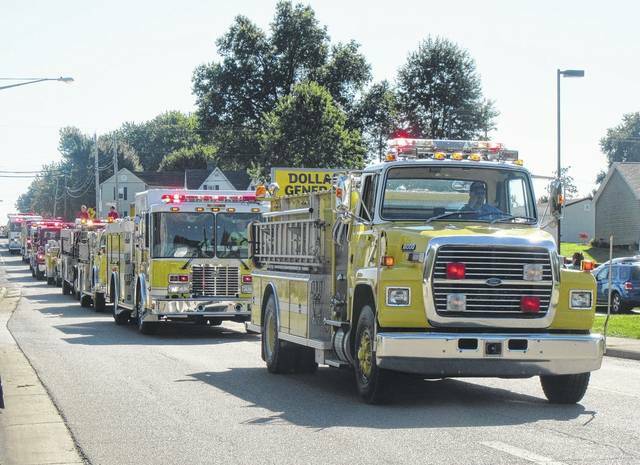 The Racine Volunteer Fire Department leads the line of emergency responders during Saturday’s parade. The Southern High School Marching Band plays as it marches along during the Party in the Park parade. Racine Area Community Organization (RACO) officers ride in the Party in the Park parade. The Racine American Legion rides in the Party in the Park parade. Little Mister Meigs County Cade Newland throws out candy during the Party in the Park parade. 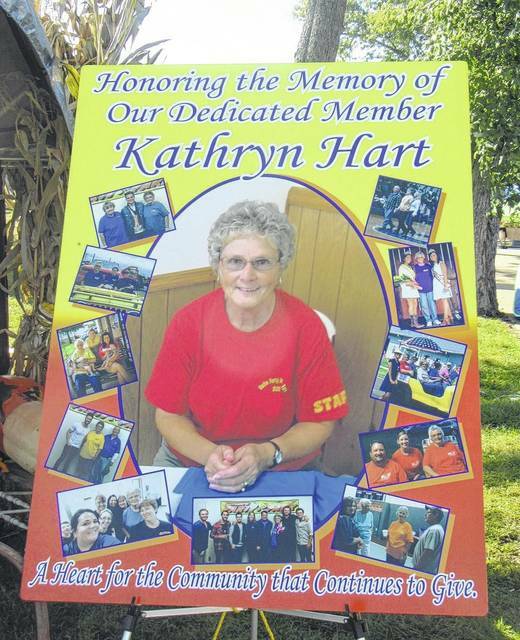 A display at Party in the Park remembered the dedication of Kathryn Hart to the community and Party in the Park. Children in attendance at Party in the Park had the opportunity to enjoy multiple inflatables, including this slide. A pumpkin painted for the 2017 Party in the Park set in a photo booth area at the park. Meigs County Fair Livestock Princess Rachel Jackson, 2017 Party in the Park Queen Nikita Wood, 2017 Party in the Park First Runner-Up Bailee Floyd, 2016 Party in the Park Queen Marissa Johnson and Meigs County Fair Queen Michaela Holter are pictured at Saturday’s Party in the Park. 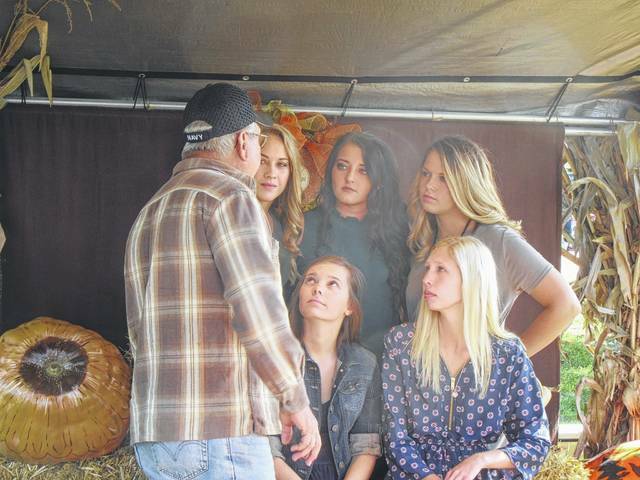 Dale Hart talks with the 2017 Party in the Park Queen candidates in the photo booth before the crowning on Saturday. 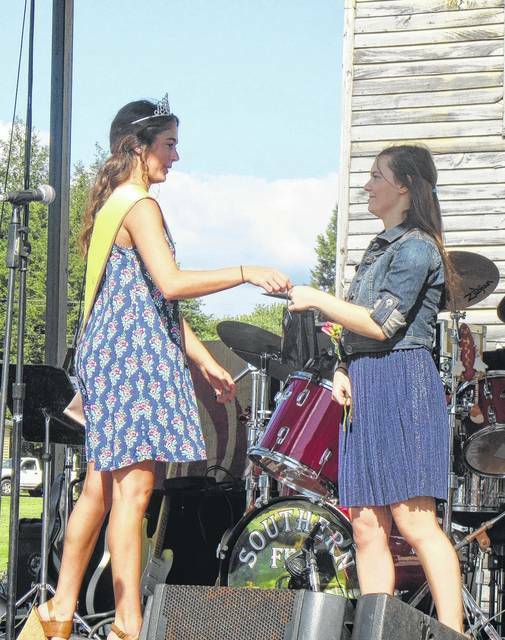 2016 Party in the Park Queen Marissa Johnson presents the Hart of Racine award to Nikita Wood. https://www.mydailysentinel.com/wp-content/uploads/sites/14/2017/09/web1_Parade-1.jpgThe Racine Police Department leads the Party in the Park parade down Elm Street on Saturday morning, followed by the Meigs County Sheriff’s Office and Racine American Legion. https://www.mydailysentinel.com/wp-content/uploads/sites/14/2017/09/web1_Parade-2.jpgThe Racine Volunteer Fire Department leads the line of emergency responders during Saturday’s parade. 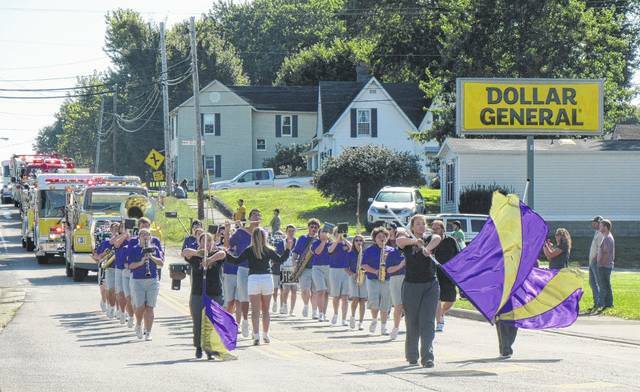 https://www.mydailysentinel.com/wp-content/uploads/sites/14/2017/09/web1_Parade-3.jpgThe Southern High School Marching Band plays as it marches along during the Party in the Park parade. 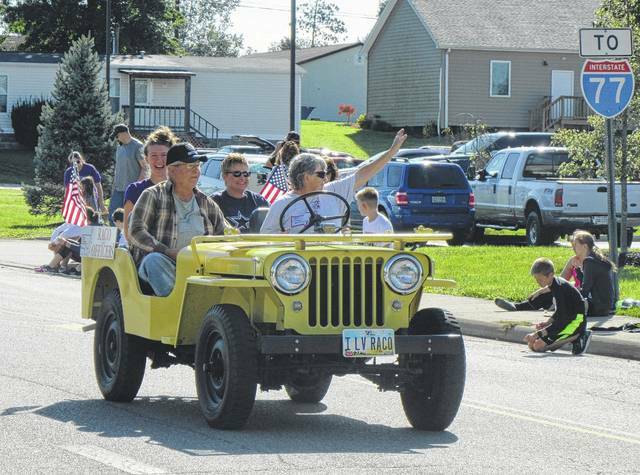 https://www.mydailysentinel.com/wp-content/uploads/sites/14/2017/09/web1_Parade-4.jpgRacine Area Community Organization (RACO) officers ride in the Party in the Park parade. 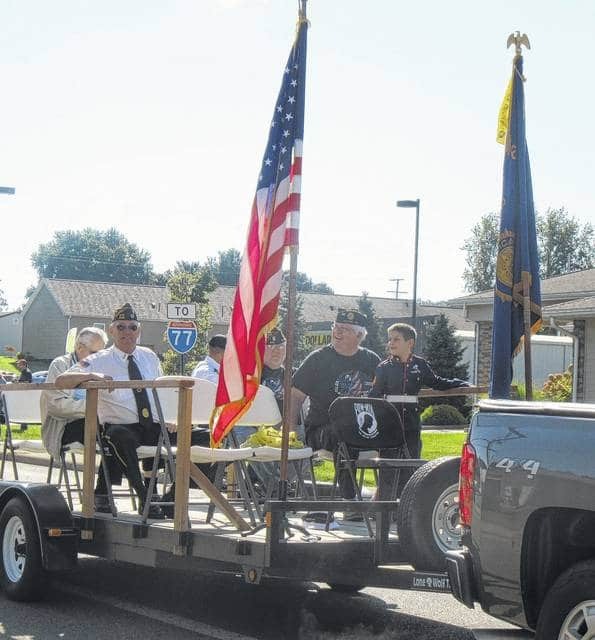 https://www.mydailysentinel.com/wp-content/uploads/sites/14/2017/09/web1_Parade-5.jpgThe Racine American Legion rides in the Party in the Park parade. 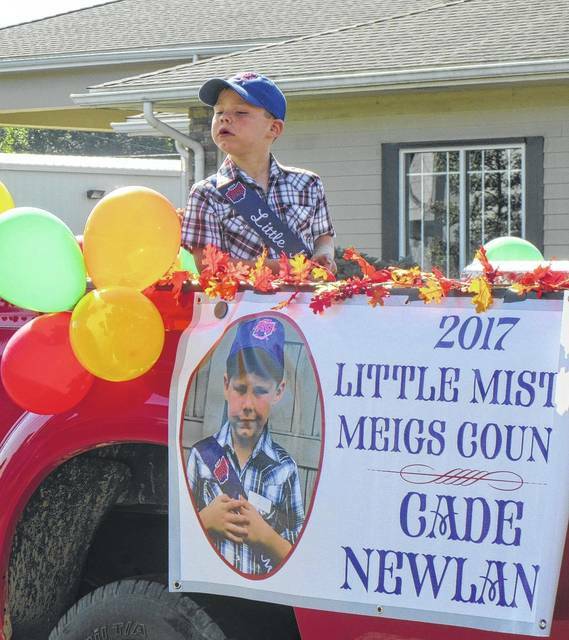 https://www.mydailysentinel.com/wp-content/uploads/sites/14/2017/09/web1_Parade-6.jpgLittle Mister Meigs County Cade Newland throws out candy during the Party in the Park parade. https://www.mydailysentinel.com/wp-content/uploads/sites/14/2017/09/web1_Party-1.jpgA display at Party in the Park remembered the dedication of Kathryn Hart to the community and Party in the Park. 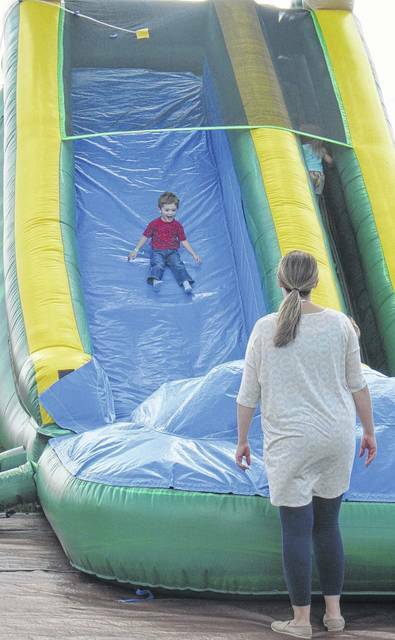 https://www.mydailysentinel.com/wp-content/uploads/sites/14/2017/09/web1_Party-2.jpgChildren in attendance at Party in the Park had the opportunity to enjoy multiple inflatables, including this slide. 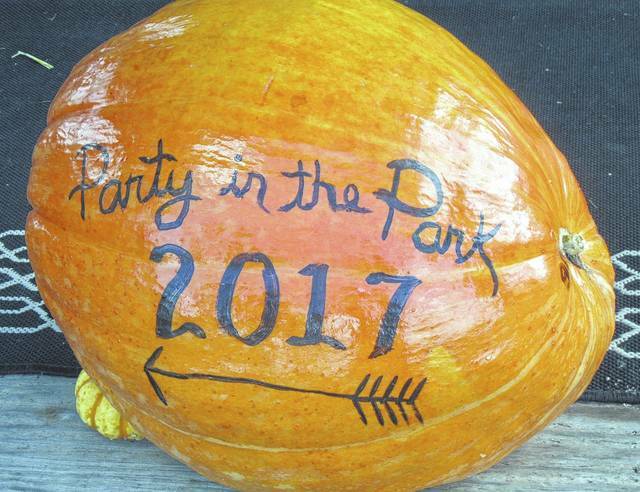 https://www.mydailysentinel.com/wp-content/uploads/sites/14/2017/09/web1_Party-3.jpgA pumpkin painted for the 2017 Party in the Park set in a photo booth area at the park. 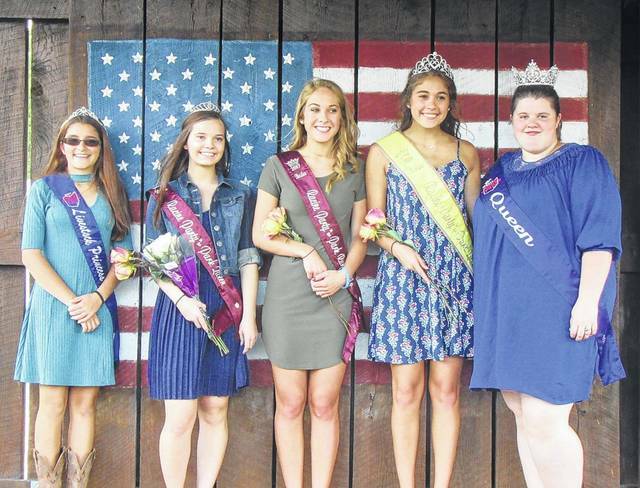 https://www.mydailysentinel.com/wp-content/uploads/sites/14/2017/09/web1_Queen-1.jpgMeigs County Fair Livestock Princess Rachel Jackson, 2017 Party in the Park Queen Nikita Wood, 2017 Party in the Park First Runner-Up Bailee Floyd, 2016 Party in the Park Queen Marissa Johnson and Meigs County Fair Queen Michaela Holter are pictured at Saturday’s Party in the Park. https://www.mydailysentinel.com/wp-content/uploads/sites/14/2017/09/web1_Queen-2.jpgDale Hart talks with the 2017 Party in the Park Queen candidates in the photo booth before the crowning on Saturday. https://www.mydailysentinel.com/wp-content/uploads/sites/14/2017/09/web1_Queen-3.jpg2016 Party in the Park Queen Marissa Johnson presents the Hart of Racine award to Nikita Wood.